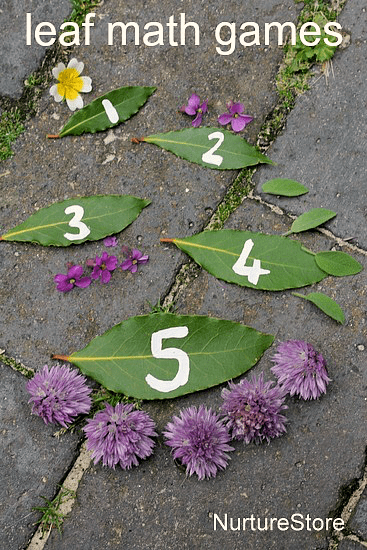 These simple leaf math games for preschool let you take your learning outdoors for some hands-on fun. >>>> Download your ABCs and 123s resources here! We took our math games outdoors into our Garden Classroom today. Many of the maths lessons we work on can be done just as effectively outdoors. The garden is full of math manipulatives! 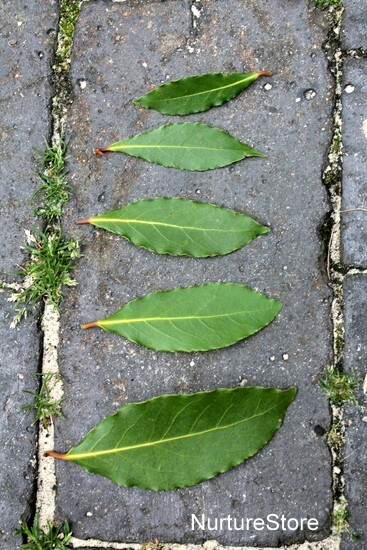 The first task I set the children was to find five lovely leaves that got bigger and bigger. They picked some bay leaves, which had the added benefit of having an aromatic smell to enjoy while we played with them. Any time we add the sense of smell to our activities we’re building in an extra sensory element, which I think gives our brain a little extra zing. 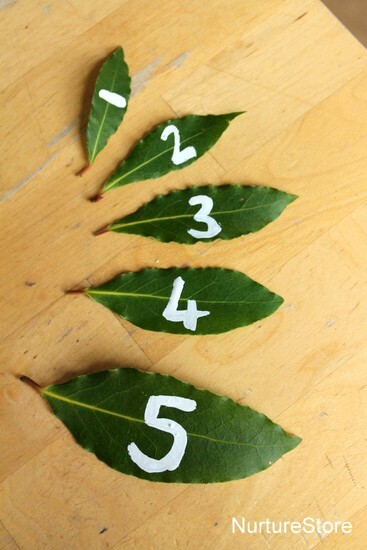 We arranged our leaves in size order and then added the numbers one to five. Our numbers increased in value as our leaves increased in size. Then we went hunting for treasure to see what interesting things we could find in the garden to match our numbers. All the time we are counting and comparing numbers, using sensory materials that look, feel, and smell really good. You can also use the number leaves for some adding and subtracting math games. Use some chalks to write in some plus, minus and equal signs to build some number questions. 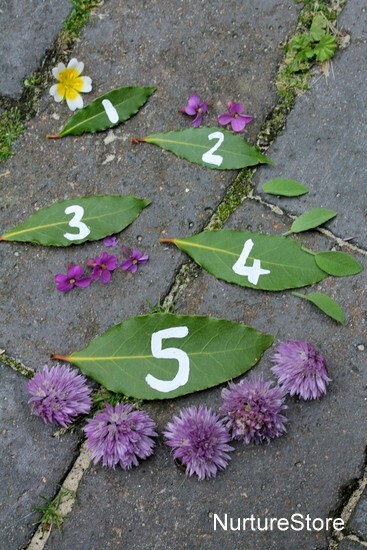 The children can use the extra flowers and leaves they collected in the treasure hunt to help them work out the answers. Having real objects to count helps them to learn that the written numbers in their sums really do correspond to real quantities of things. 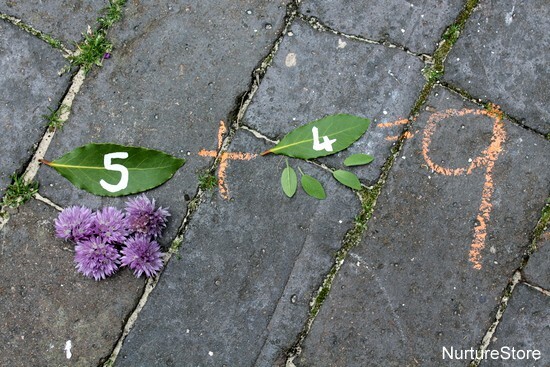 Fabulous photos that show how you use nature items to teach math! Thank you! I am so pleased I came across this site as I am developing a program for my Pre-School. 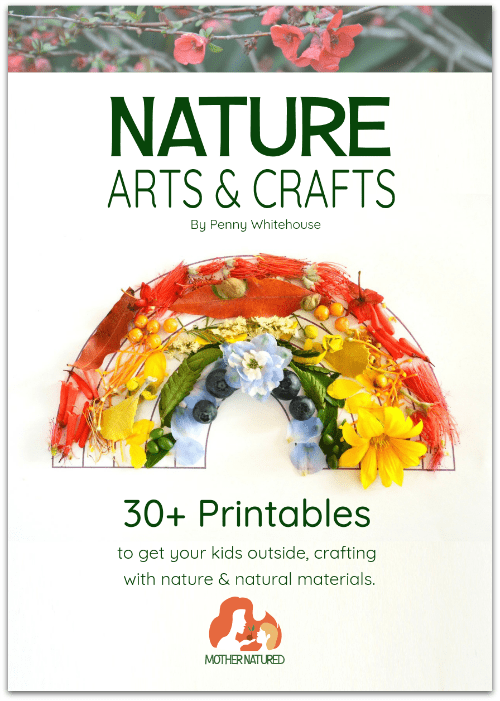 I want to develop a Christian and Nature Pre-school and I have found resources that support my STEM programs. I will need more support and resources as I walk the path introducing this kind of a school.